The Activator Method Chiropractic Technique® is a gentle, low-force approach to chiropractic care. This technique has been used safely on patients of all ages since the late 1960’s, bringing relief to people with a variety of health concerns. Incorporating the latest advances in orthopedic, neurological and chiropractic examinations, this unique system of administering spinal adjustments, using research-based analysis and the Activator Adjusting Instrument can help restore spinal balance safely and comfortably. The Activator provides a controlled, fast thrust that is comfortable for the patient. In fact, adjustments with the Activator are so quick and measured that the body’s muscles are less likely to resist, allowing for a more precise and accurate adjustment. Restoring spinal balance safely and successfully has been the driving force behind the Activator Method. The technique utilizes specific protocols to detect spinal joint dysfunction, analyze leg length inequality, identify issues with body mechanics, and test neurological reflexes. By analyzing the results of these examinations, an Activator doctor can initiate the process of restoring spinal balance in the patient, gently and effectively. 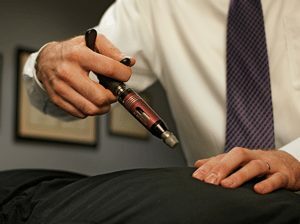 The Activator Adjusting instrument is the device more doctors choose to deliver low-force chiropractic adjustments. This unique hand-held instrument has been studied extensively with results published in hundreds of peer-reviewed research papers, and was designed to give patients a specific and gentle adjustment. Patients of all ages can enjoy the benefits of an Activator adjustment. Older patients, or those with arthritis, osteoporosis or other bone-weakening conditions find the Activator Method to be especially effective and gentle. The low-force thrust of the Activator Adjusting instrument, and the doctor’s ability to pinpoint the exact location of the problem through Activator analysis, can relieve a patient’s pain without discomfort. Our practice is pleased to bring you the benefit of the Activator Method. As your partner in health care, we are committed to your better health and wellness. A wide variety of health problems stem from spinal imbalance and dysfunction of the spinal joint and nervous system. Everyday living, stress and old injuries can cause vertebrae to lose their proper position or motion. This dysfunction can irritate your spinal nerves, causing pain and nerve interference throughout the body. By restoring spinal balance, chiropractic care helps the body in healing itself, and the Activator Method Chiropractic Technique accomplishes this goal through safe, effective and gentle low-force adjustments. The Activator Method® is a gentle, low-force approach to chiropractic healthcare. 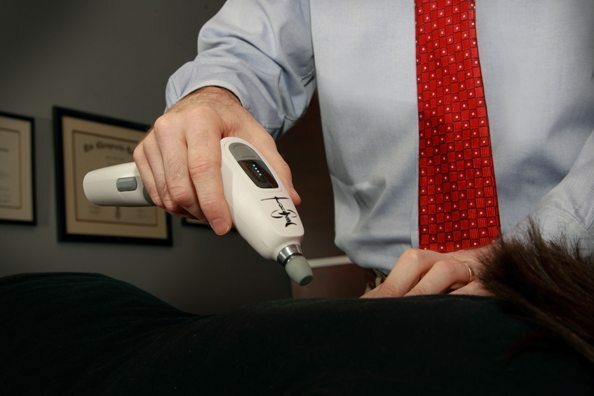 This instrument-based chiropractic technique has been used safely and effectively on patients for over 50 years. When practiced by a proficiency-rated doctor, the Activator Method gives fast consistent results which means shorter (and fewer) treatments. Contact our office today and experience the benefits of the Activator Method.